Recently another hidden feature of Windows 8.1 has come to light: Work Folders. 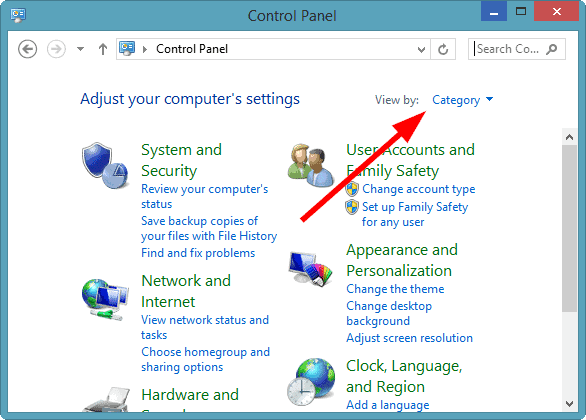 Hidden within the list view in the Control Panel, Work Folders were designed for IT administrators to offer employees a way to sync all devices and work-related information to one another through the use of Windows Server 2012. This is an amazing step forward not just for Windows 8.1 and people who the OS for work but also for the Windows Server program. Let’s see how Work Folders work in Windows 8.1. This means that companies that take advantage of Windows Server 2012, and most likely future versions, will be able to use Work Folders in a Windows 8 and 8.1 environment to help bring keep data synced outside the office, on all devices, and easily accessible by workers who need it. This helps make it so much easier for employees who use their own devices for work to stay in the loop and have access to files, folders and other important information. This is something sorely lacking in most offices using Windows Server as a solution. This directly benefits those that bring their own devices to the office to work on (the BYOD concept), as opposed to being supplied ones by a company. More employees find it easier to use their own computers, mobile phones and more because of the way they work. It’s cheaper for companies to allow this as well and investing in Work Folders might be the way to keep the data flowing whether employees are online or offline working at the office or working at home. This video will show you how Work Folders can be used for a business and its employees. Unless you’re already using Windows Server 2012 at the office, the average Windows 8.1 user won’t be able to do much with Work Folders. 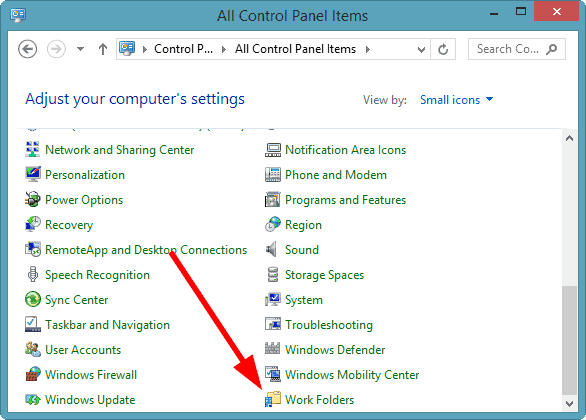 However, you can still access Work Folders from any Windows 8.1 PC, you just won’t be able to use it if your work place isn’t also using Windows Server and has Work Folders configured on its system. Let’s see how to access them anyway in Windows 8.1. This is the only way it’ll show up for a Windows 8.1 user to click on. Enter your company e-mail address. Then, if your company already has Work Folders set up, you can enter in the URL your IT Administrator gave you. If you don’t have this information, you can’t proceed, but this at least shows you where the Work Folders option is in Windows 8.1. From there, the rest of the process can be seen in the video we shared above. These are the requirements to use Work Folders in an office environment. 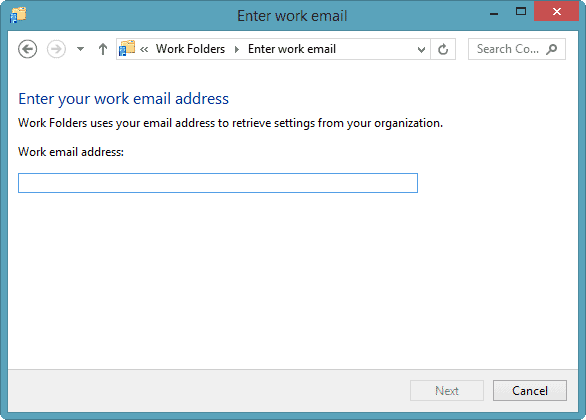 Work Folders, if truly done right by Microsoft, can be extremely helpful for office workers. 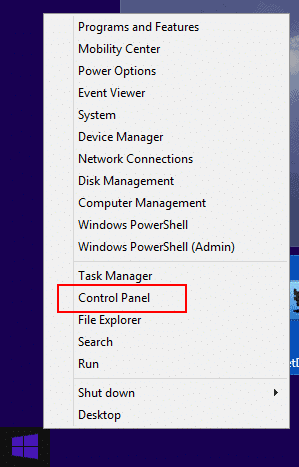 Until Windows 8.1 is released in October, there’s no telling how effective this feature will be but it looks hopeful. Workers will benefit immensely from a free cloud-based storage solution for the bring your own device atmosphere starting to become dominant at many companies across the world. 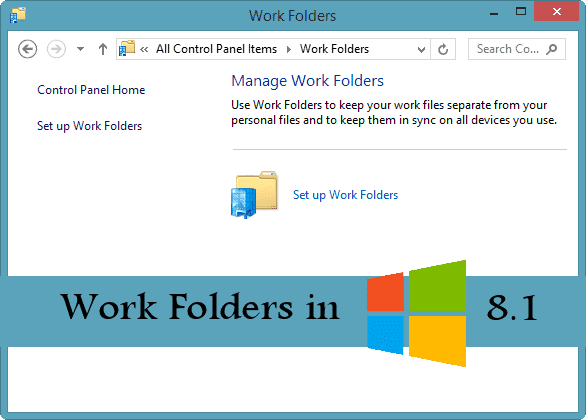 When Work Folders goes live with the Windows 8.1 upgrade, it’s going to be amazing to see what work places do with them and how they become an integral part of the BYOD culture growing in businesses. We can’t wait to keep an eye on this trend and see how much value it brings to the Windows 8.1 work environment. If you’ve already tested out Work Folders, let us know what you think of it in the comments! We’d love to see how it’s been used and how employees are taking advantage of it.